Gilbert Roper was born in South Australia in 1905, a descendant of the pioneering McFarlane family. He married Edna Sirius Lorence, daughter of a Norwegian sailor. Roper died at Randwick on 5 December 1974, survived by his wife, and was privately cremated. Gilbert Roper began his working life as a printer at The Register. At 16 he became a Sunday orator at The Stump in Botanical Park for the Socialist Labor Party. In 1925 he joined the Adelaide branch of the Socialist Labor Party, and became secretary. He resigned and became a founding member of the Marx-Engels Club in 1928. He represented South Australia at the 1929 Congress of the Communist Party of Australia (CPA). In 1930 he became district secretary and a co-opted member of the central committee of the CPA. In 1932 he went to Mildura and was prominent in reorganising the party. In 1934 he was called to Sydney to operate the Forward Press acquired by the central committee but resigned in protest in April 1937. Edna Lorence had followed him from Adelaide to Mildura and Sydney and worked with him at the Forward Press as a copy holder. She also became business manager of the magazine, Woman Today, the official organ of the Women’s Committee of the Unemployed Workers Union. During the 1930s Gilbert Roper published many articles on communism in The Militant and publicly dissociated himself from Stalinism. He was a member of the Glebe branch of the CPA and then of the Randwick branch. He was also elected to the board of management of the Printing Industries Employees (PIE) Union and as a delegate to the Sydney Labor Council. In 1941 he was briefly jailed for his anti-war propaganda. In 1942 Gilbert Roper was employed as a printer by the NSW Railways but was sacked in 1945. His concern to educate workers found expression in his lecturing to the Workers Education Association (WEA). Edna also joined the Australian Labor Party, becoming an executive member and president of the Labor Women’s central organising committee. In 1969 Edna Roper was elected for a second term as a member of the NSW Legislative Council, and in 1979 she received the Order of the British Empire. Gilbert and Edna Roper’s lives were devoted to the improvement of the working and living conditions of workers. They took a keen interest in their Surry Hills community and were highly respected. 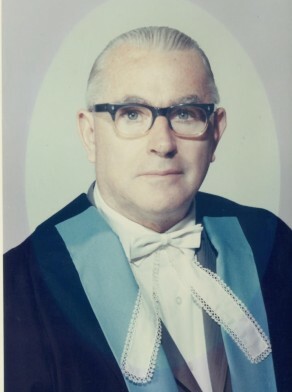 Gilbert Roper was Alderman for Gipps Ward, 5 December 1959 to 30 November 1962 and for Phillip Ward, 1 December 1962 to 13 November 1967 when the council was replaced by City Commissioners. He was member of the City Planning and Improvements Committee, 1960-67 and its Vice-Chairman in 1961-62 and 1965-67. He belonged to the Finance Committee between 1960 and 1967. He was a member of the Australian Labor Party and closely associated with the trade union movement. His subsequent efforts to stand for the Sydney City council and the Randwick City Council were unsuccessful. Sue Tracey, ‘Roper, Edna Sirius (1913–1986)’, Australian Dictionary of Biography, National Centre of Biography, Australian National University, http://adb.anu.edu.au/biography/roper-edna-sirius-14197/text25209, published first in hardcopy 2012, accessed online 4 December 2014.